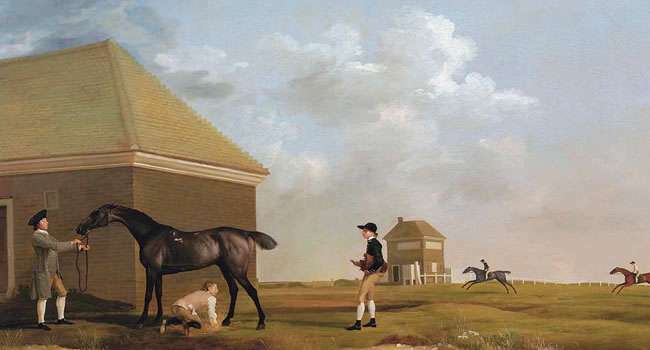 National Hunt Racing, or ‘steeplechasing' as it is more popularly known, originated from the ancient sport of hunting. Historically the horses used would have needed the speed, confidence and ability to clear any obstacles they met in the open countryside, giving the hunters an advantage over their prey. The first recorded ‘steeplechase' race was held in in County Cork, Ireland. A Mr. Blake challenged his neighbour, Mr. O'Callaghan, to race from Buttavent Church across country to Doneraile Church four and a half miles away. The steeples of the two churches were used as the starting and finishing points, hence how the term ‘steeplechase' came into common use. During the 19th century the sport became more sophisticated with enclosed courses and professionally trained thoroughbred horses making it difficult for amateurs to compete. To combat this, local ‘hunts' began to stage races for hunters, known as ‘point to point' and racehorses and professional jockeys were excluded. Today Great Britain and Ireland use the official term, National Hunt, for this popular form of horse racing and hold 50% of all such races worldwide. The English Grand National has become the sport's major showpiece with versions also held in Wales, Scotland and Ireland. Steeple chasing in various forms also takes place in Europe, USA and Australia.